On 16 January 2019 ILHEM RACHIDI (a freelance reporter based in Morocco, who worked as a correspondent at the French media site Mediapart and has written for Orient XXI, Rue89, Al-Monitor, and the Christian Science Monitor) published a long and substantive post in Foreign Policy: “Morocco’s Crackdown Won’t Silence Dissent” She states that across the country, protesters are increasingly willing to criticize the government and the monarchy—even in the face of repression. Today’s repression may be much less brutal, but just denouncing the recent crackdown could land critics in jail. Indeed, in recent months, human rights defenders have pointed to a major rise in harassment, arrests, and police violence against activists. Another Hirak activist, Mortada Iamrachen, was arrested in November 2017 and later sentenced to five years in prison after making two posts on Facebook…..
An appeal trial for 42 of the detained—11 have been pardoned by King Mohammed VI since the verdict last June—started in Casablanca on Nov. 14, 2018, but human rights defenders aren’t optimistic. ….Particularly worrying for the government is the spread of social movements from the big cities to smaller towns, where locals are tired of poor living conditions. After two miners died on the job in December 2017, residents of Jerada took to the streets to demand an economic alternative to mining coal in unsafe clandestine shafts, which is one of the few options for work there.Now more than 70 people there have been held awaiting trial since March, according to AMDH and the Unified Socialist Party activist Jawad Tlemsani. Among them, 40 have been recently sentenced to up to five years in prison. For now, such incidents are isolated, but they could portend a nationwide protest movement in the near future. And that may be why the government’s crackdown on recent protests has been harsher in many ways than its reaction to the Arab Spring, even though the activists’ demands are less extreme. The Hirak protesters have not demanded the resignation of the government but rather more spending …. The government responded by putting back on track an ambitious development plan that it had launched two years before but had then faced significant delays. This is part of a pattern of giving activists some of what they want before cracking down again. Beyond the rise in prosecutions, AMDH and other organizations like it have recently had trouble obtaining funding and official authorizations from local authorities. This year, out of 100 AMDH bureaus, 54 have failed to get their registration documents, which means they cannot legally work. AMDH activists haven’t had to grapple with problems like this since the 1980s, the activist Lefnatsa said, when the organization was banned and its offices closed. As repression takes root, a culture of protest is slowly emerging throughout the country. And unlike during the Years of Lead, activists and ordinary citizens are prepared to publicly criticize the government and, at times, the monarchy. “There’s no way this would have been possible” when he started out, Lefnatsa told me, looking back on his 40 years as an activist. “What people say now on social networks, it would have cost them years of prison.” Indeed, during the Years of Lead, activists were imprisoned for years simply for distributing leaflets. Even if protest remains costly today, something fundamental has changed. Activists in Pakistan are under threat from a targeted campaign of digital attacks, which has seen social media accounts hacked and computers and mobile phones infected with spyware, a four-month investigation by Amnesty International reveals. In a report titled ‘Human Rights Under Surveillance: Digital Threats against Human Rights Defenders in Pakistan’, released on Tuesday, 15 May 2018, Amnesty reveals how attackers are using fake online identities and social media profiles to ensnare Pakistani human rights defenders online and mark them out for surveillance and cyber crime. “We uncovered an elaborate network of attackers who are using sophisticated and sinister methods to target human rights activists. Attackers use cleverly designed fake profiles to lure activists and then attack their electronic devices with spyware, exposing them to surveillance and fraud and even compromising their physical safety, Sherif Elsayed-Ali, Director of Global Issues at Amnesty International, said. “Our investigation shows how attackers have used fake Facebook and Google login pages to trick their victims into revealing their passwords. It is already extremely dangerous to be a human rights defender in Pakistan and it is alarming to see how attacks on their work are moving online,” he said. Nadhir Al-Majid is a well-known 40-year-old writer and teacher who has published many articles in various Arabic newspapers and electronic websites. 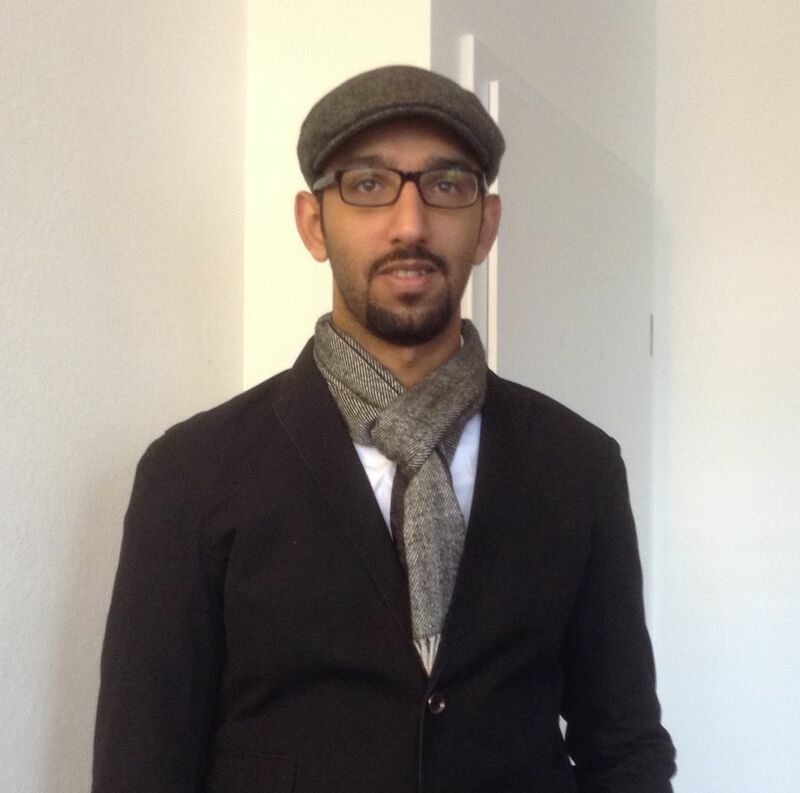 On 18 January 2017, the Specialised Criminal Court in Riyadh held its hearing in the presence of Nadhir Al-Majid, who was sentenced to seven years imprisonment followed by seven years of a travel ban in addition to a fine. Reports have confirmed that the writer was alone during the hearing and not accompanied by his family or his lawyer. 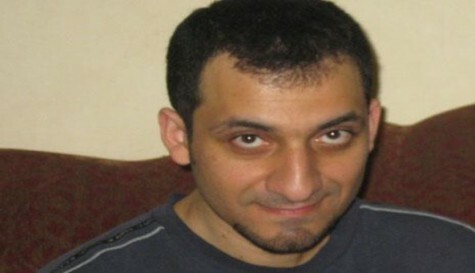 He was taken immediately after the verdict to Al-Ha’ir prison in Riyadh. There are fears that the authorities will refuse to officially deliver a copy of the verdict to him or his family, which might prevent them from seeking an appeal of the sentence at the Court of Appeal. The Public Prosecutor directed many charges against Al-Majid including failing to obey the ruler, participating in demonstrations, writing articles supporting protests (dating back to the year 2007), in addition to having contact with correspondents of foreign news agencies – namely Reuters, AFP, and CNN. He was previously jailed on 13 April 2011 after he was arrested and his electronic equipment was confiscated. He was beaten, kicked and ordered to stand for hours and then placed in solitary confinement for five months. He was then placed in a cell with convicted drug dealers and weapons traders. The reason for his arrest is related to his writings, including an article entitled “I protest, I am a human being” which supports the right to demonstrate. He was released on 27 June 2012. The Gulf Centre for Human Rights (GCHR) believes that the prison sentence of Nadhir Al-Majid is solely related to his work in defence of human rights. Saudi Arabian human rights defender Essam Koshak has been detained since 8 January 2017 for his online activism. On 8 January 2017, Essam Koshak received a phone call from the Criminal Investigation Department (CID) in Mecca, summoning him to al-Mansour police station. On arrival, at 5pm the same day, he was interrogated by the Bureau of Investigation and Prosecution (BIP) about his Twitter account, which he uses to highlight human rights issues in Saudi Arabia, including the detention of human rights defenders and activists. During the first three days of interrogation, his request to have his lawyer present was denied. On 12 January, Essam Koshak’s detention was extended by four days and his lawyer was finally allowed to be present during his interrogations. He was transferred on the same day to Mecca General Prison where he is currently being held. Essam Koshak is a computer engineer and human rights activist who uses social media to call for reform and respect for human rights in Saudi Arabia. In the meantime the organization ALQST – through Samar Badawi [see: https://humanrightsdefenders.blog/2016/01/13/saudi-arabia-arrest-of-human… ] – draws attention to their “Human Rights Situation in Saudi Arabia 2016. Annual review” (for the full report: https://t.co/ACWlRfOFRu – for inquiries, yahya.i.assiri@gmail.com). Abdalaziz Alhamza and his team of citizen journalists risk their lives to smuggle video out of Syria to expose the shocking brutality of both the Assad regime and ISIS. Now ISIS has put a price on his head. Abdalaziz took the stage at the 2016 Oslo Freedom Forum of the Human Rights Foundation to talk about his work and his hopes for a brighter future in Syria. To portray the work of human rights defenders working on the ground to prevent torture, the World Organisation Against Torture (OMCT) shares profiles of 10 persons between 1 and 10 December, International Human Rights Day. These stories, such as those of Yavuz in Turkey, Olga in Russia, and Justin in DRC are hosted on OMCT’s website and social media, including the new LinkedIn page, as well as on Facebook and Twitter accounts, starting today. People are encouraged to like and share the posts. I will also highlight some of them in future posts. Unfortunately the UN voted on the Resolution on human rights defenders! The answer to yesterday’s post [https://thoolen.wordpress.com/2015/11/25/will-the-un-today-adopt-the-strongest-possible-resolution-on-human-rights-defenders-ask-over-100-ngos/] is that the UN did vote in favor but UNFORTUNATELY did have to vote at all. The unanimity by which UN resolutions on this topic were adopted since 1999 is now lost. But at least there is clarity: Russia and China were the main opponents. “In New York today, China and Russia broke the unanimity of the international community by requesting a vote on the resolution presented by Norway,” commented Florian Irminger, Head of Advocacy at the Human Rights House Network. The vote by 117 in favour of the resolution, against 14, and with 40 abstentions, in fact reflects the situation in which human rights defenders work in the countries that voted against the resolution. After the successes of the first course in December 2014, Justice and Peace Netherlands will host the second edition of the The Hague Training Course for Human Rights Defenders on Security from 16-25 June 2015. 20 Human Rights Defenders (HRDs) from around the world will be invited to The Hague where Justice and Peace will facilitate the strengthening of their knowledge and skills on security issues and the building of their international networks. This training aims to reduce the vulnerabilities of the participants, thereby improving their security as well as the security of their families and the organisations they work for in their home countries. Justice and Peace will also conduct a ‘Training of Trainers’ and a network event which will enable the HRDs to develop 1-to-1 relationships with parliamentarians, lawyers, journalists and scientists who might be able to advocate and support their cause in the future. The participants should work as a Human Rights Defender (HRD) and work for a human rights organisation or an organisation promoting peace or social justice. The HRD should implement a non-violent approach in his or her work. The HRD should have adequate skills to communicate in English. Online application form here or go to justiceandpeace.nl and follow the links to the THTC page. Deadline: 13 April 2015.
via Call for Applications The Hague Training Course for Human Rights Defenders on Security now OPEN!. Human rights defenders in the Philippines have been using information technology to advance their advocacy work. Launched in 2011, the human rights website http://www.hronlineph.com started by Egay Cabalitan and Jerbert Briola is used by human rights defenders for updates on most recent social issues in the country. The website has produced a video featuring testimonies from various advocacy groups – medical, anti-mining, human rights defenders, and international support NGOs – on the usefulness of the website. Recently HRonlinePH launched two videos about human rights and internet rights now shared on social media outlets. “Human rights defenders fully realize the potential of video to bring about change, And this video, a groundbreaking information tool for the HRonlinePH, is a supportive infrastructure how we can harness the power of technology and to help realize our shared interests in promoting and defending human rights, offline and online,” Human Rights Online Philippines said. Featured in one of the videos are human rights defenders from Alyansa Tigil Mina (ATM), Asian Forum for Human Rights and Development (FORUM ASIA), Coalition Against Trafficking in Women, Asia-Pacific (CATW-AP), Medical Action Group (MAG), Partido ng Manggagawa (PM), Philippine Alliance of Human Rights Advocates (PAHRA) and Philippine Movement for Climate Justice (PMCJ). Group takes a ride on info-tech for human rights advocacy | SciTech | GMA News Online.